IVR ensures customers who call your number must first specify which department they would like to speak to (E.g. “For sales, press one”) before automatically being connected to someone. You get to choose how simple or detailed your menus are as our Call Director allows unlimited levels, ensuring that your customers will be satisfied that they’re getting put directly through to the relevant person and avoid feeling like they’re being passed from department to department. Our forwarding system is very flexible and forwarding can be defined as for all calls, or only calls that don’t get answered after x seconds. Having an archive of call recordings can help your business in a number of ways: they can be used in staff training, they’re useful for keeping records and they can be extremely helpful to have at hand in the event of resolving a dispute. With Purple Triangle Call Recording you have the luxury of being able to make and receive calls safe in the knowledge that they’re recorded and stored within your account with us for up to six years – and are easily accessed via your Control Panel. This means regardless of where you are, you will be able to access your call recordings – all you need is an Internet connection so you can log in to your Purple Triangle account. Attended transfer is typically done by calling the third party on a second line on your VoIP phone and when you’ve spoken with them, pressing the transfer button and selecting the line that your original caller is on. Picking up a waiting call is as simple as pressing the second line button and hey presto – you can easily switch between your current call, waiting call and back again. With a single Purple Triangle, business VoIP account, you can add multiple VoIP Solo numbers in any area code you choose, without any restrictions. Our whisper facility allows you to define a recording to be played when a call is connected to you. You specify the recording on each of your numbers – so you’ll always know where the call came from. Within a single Purple Triangle, business VoIP account, you can add multiple VoIP Solo numbers in any area code you choose, without any restrictions. Our Caller ID for Forwarded calls feature allows you to define what number is displayed to you when a call is forwarded to you. You can choose to display any number in your account – so you’ll always know where the call came from. Do you have a call management or other external application that you’d like to integrate with our service? When we receive a dial request, we will ring the IP telephone you’ve specified to place the call from. As soon as you pick up the ringing device, we’ll place an outbound call to the number specified in your Dial by URL request. Dial by URL is free with any Purple Triangle number, simple to use, easy to understand and technology independent. 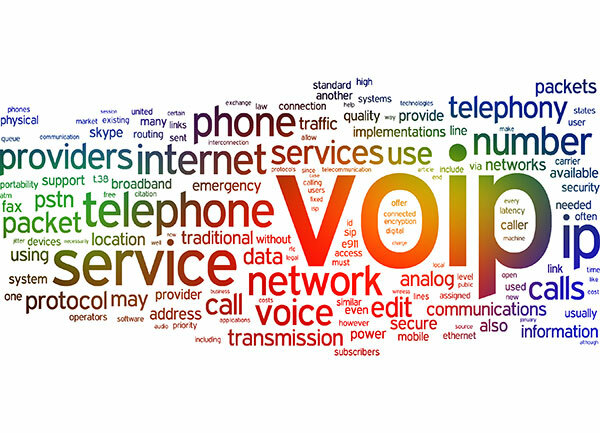 VoIP can really add flexibility to this more traditional feature, allowing you to define hunt groups across multiple locations – so anyone in your organisation can answer a call; whether they are working from the office, from home or anywhere else in the world that they have an Internet connection. Purple Triangle’s Inbound Call Filtering facility lets you block those unwanted calls so nuisance callers no longer disturb you as you go about your day-to-day tasks. Line display name is a key feature if you want to find out which of your Purple Triangle number a call has arrived on. The line display name feature allows you to define a display name that will show on your VoIP phone when a call arrives – making sure that you know exactly which line the call came in on. With a Purple Triangle number you can take advantage of the ability to upload an introductory audio message to play to your callers prior to a call being connected. Doing so gives your caller the reassurance that they’ve called the right number and that they’re dealing with a reputable company. Multi route is a feature unique to us. It allows you to forward your Purple Triangle number to multiple destinations at the same time. Multi route is similar to hunt groups, except you can also include external mobile or landline numbers as well as your Purple Triangle VoIP phone. It doesn’t present a very professional image when you hear the person in the company you’ve called shouting across the room for information. On most VoIP phones, when on a call, press the hold key on your VoIP phone to place a caller on hold – they will hear hold music. To return them from hold, press the line key that the call is on. As well as music while on hold, you can configure your Purple Triangle VoIP numbers to play music to your caller instead of them hearing a ringing tone. We generally recommend to our customers that they configure their routing to play a message to their caller before routing to music whilst ringing; this can reassure your caller that they’ve come through to the right place. One of the features that’s often missed by other business VoIP providers is the ability to have an alternative routing plan in place when your business is closed. With Purple Triangle out of hours routing, you can define a special routing plan that executes when your business is closed. Typically, customers will play a message to their caller, letting them know that they are closed and what their opening hours are. You aren’t restricted in this routing though, and many customers route to an on call support number or other destination.